SEATTLE (Scrap Monster): The Chinese firm Shanghai Pret Composites Co. Ltd has announced acquisition of Johnsonville, US-based Wellman Plastics Recycling LLC. The deal is valued over $70 million and will mark the entry of the Chinese firm into the US auto compounding market. The plant, spread over 2 million square feet will be purchased by the Chinese company in an all-cash deal. The Chinese firm will purchase all shares of Wellman Engineering Resins and DC Foam Recycle Inc. The total assets were valued at $73.6 million. This includes net assets to the tune of $14.8 million as of September last year. 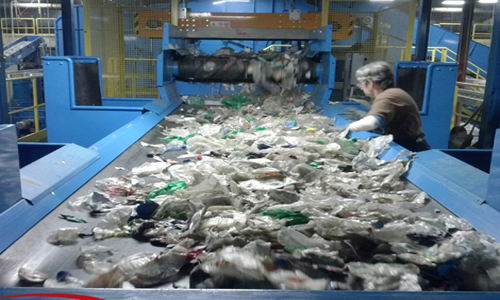 Wellman Plastics Recycling had increased its total sales from $162 million in 2012 to $164 million in 2013. The company had achieved total sales of $124 million during the initial three quarters of 2014. Shanghai PRET Composites Co., Ltd. develops, manufactures and sales modified plastics and composites material auto-parts. They are a leading manufacturer of composite materials for the automotive industry. The company views the acquisition as a first step in its attempt to expand globally. Wellman Plastics Recycling (WPR) for the past 40-Years has been dedicated to creating high quality, high performance, environmentally supportive, and cost effective products for the automotive, lawn and garden, consumer products, and electronics industries. Wellman’s Engineering Resins division makes use of 100% post-consumer recycled materials to produce variety of nylon, polyester and polypropylene resin products for the automotive industry. WPR also operates PET recycling division.